• Participate in a fun event over two days; 6 x 35 minute games. • Provides all country Associations with an opportunity to travel together and represent their local area. 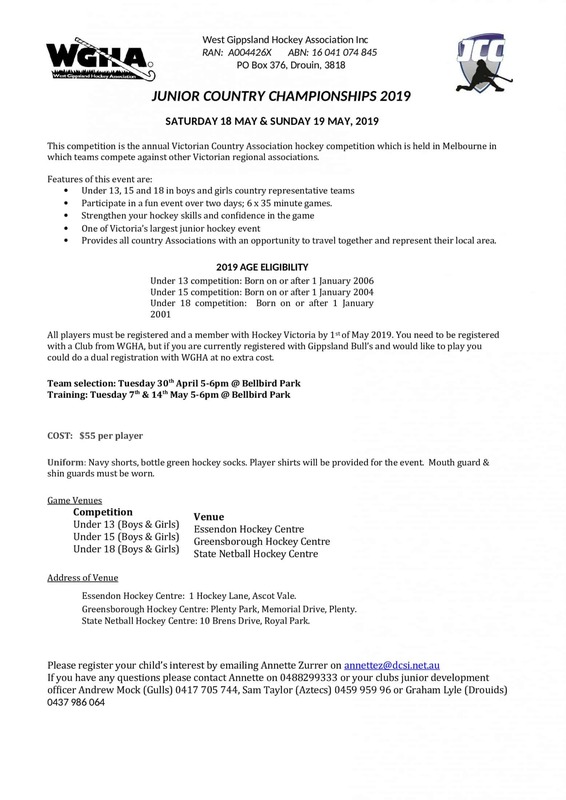 All players must be registered and a member with Hockey Victoria by 1st of May 2019. 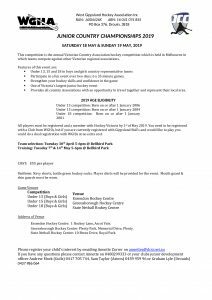 You need to be registered with a Club from WGHA, but if you are currently registered with Gippsland Bull’s and would like to play you could do a dual registration with WGHA at no extra cost. Uniform: Navy shorts, bottle green hockey socks. Player shirts will be provided for the event. Mouth guard & shin guards must be worn. Essendon Hockey Centre: 1 Hockey Lane, Ascot Vale. 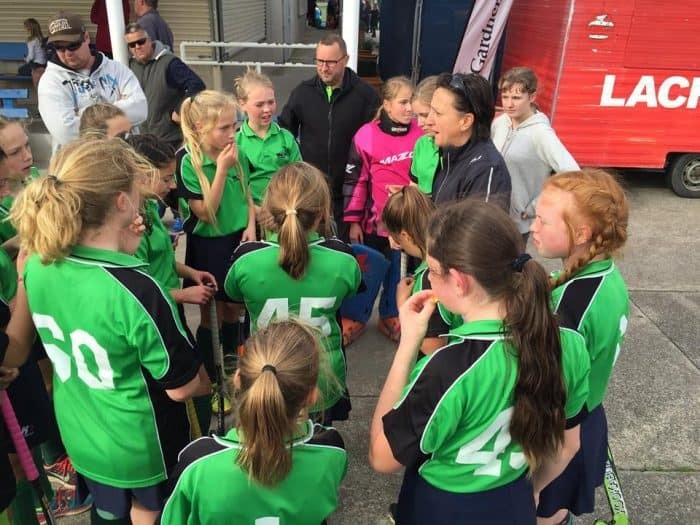 Greensborough Hockey Centre: Plenty Park, Memorial Drive, Plenty. State Netball Hockey Centre: 10 Brens Drive, Royal Park. This entry was posted in VicHockey News, WGHA News by marx. Bookmark the permalink.